Safety first is a rule that applies to all sports, especially those that are high risk, including motorsports, arguably some of the most dangerous in the world. Most often the different categories of events that take place in this sport are based on speed. This creates an even greater need for proper safety measures to be put in place. Motorsports makes use of different types of vehicles. It is up to the owner and driver of these vehicles to ensure that the vehicles are in good shape and there are no safety concerns. Parts need to be checked and replaced by those that have the knowledge to do so. Safety inspections are crucial. Equipment such as safety belts according to the type of vehicle being used for the motorsport must be in good shape and used at all times. It is no different than taking the same precautions when driving a standard vehicle under normal conditions. Every competition has its own set of rules and regulations. These do not just pertain to the way that the competition is conducted but also include rules that pertain to safety factors. All those participating in a motorsport event must be aware of them and implement them accordingly. It doesn’t matter whether a drive is considered to be a novice or a professional they should not push themselves beyond their skill level no matter which type of motorsports competition they are participating in. If they do then they are not only putting themselves in danger but others that are competing in the competitions as well. Cars and technology are only as good as as receptive as the operator. 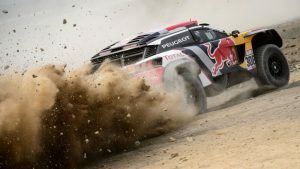 Although motorsports are considered to be a form of fun and entertainment, the different events can be potentially dangerous if participants do not conduct themselves in a responsible manner. When all of the safety factors are adhered to it keeps this sport one that is most enjoyable.